While circling the room to assist and assess in a math activity using 3Doodler pens, I overheard one student say to his partner, “You’ve got a point there. Okay, let’s try it your way.” Although these words on the surface appear insignificant, the fact that these two boys who typically argued about everything were listening to each other gave me pause for reflection. How many times over the course of the year had I observed beliefs, behaviors and attitudes widened by the art of Doodling? Yet none of these worthy attributes appeared on any of my instructional rubrics. Though these skills are valuable to students in all aspects of life, they are a part of what is known as the “hidden curriculum”. 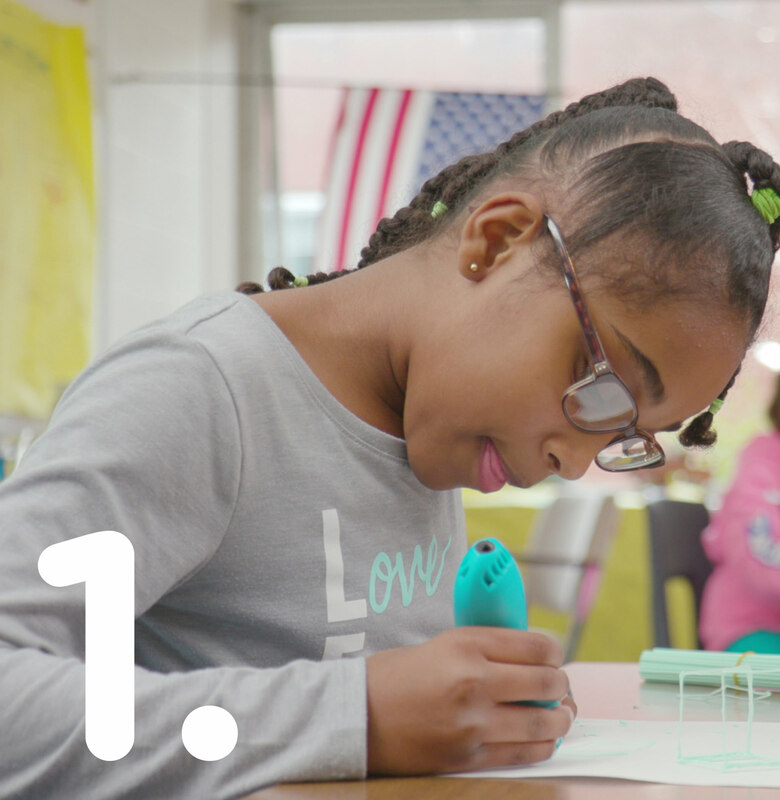 There’s the core curriculum we teach directly through math, science, language arts and civics instruction. But dig deeper, and you will unearth the hidden curriculum. These are the emotional lessons that arise systemically from how we teach, rather than what we teach. What message are you sending to your students? And, how would you teach if you knew that the hidden curriculum would be subject to the same standardized-high-stakes testing as the core curriculum? Ironically, the hidden curriculum carries equal if not more serious implications to a generation dealing with an increasingly complex world. 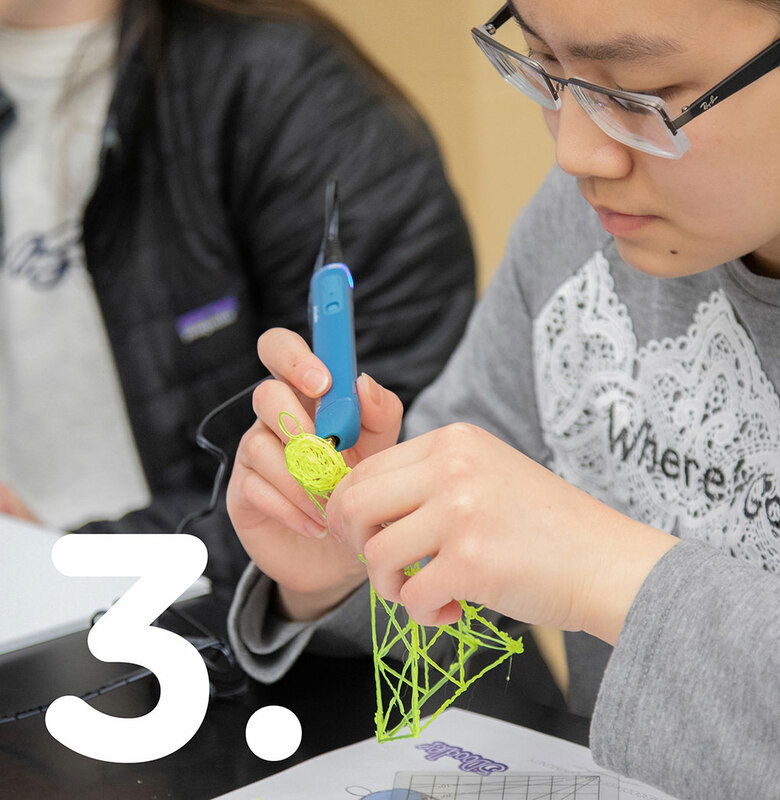 Here are 4 ways in which 3Doodler pens enhance the hidden curriculum. Students who act out when they are lost or confused are displaying a reactive outcome to their frustration. The poor behavior is a symptom stemming from the problem. Doodling helps illustrate thinking in ways which touch us viscerally. We become interconnected with the learning, enmeshed in the process of creation. Endurance is sustained even in moments of rigor, as we are creating something unique that carries our mark. When students shut down, why persist in instructional repetition? Einstein said that the mark of insanity was repeating the same behaviors over and over again while expecting a different outcome. 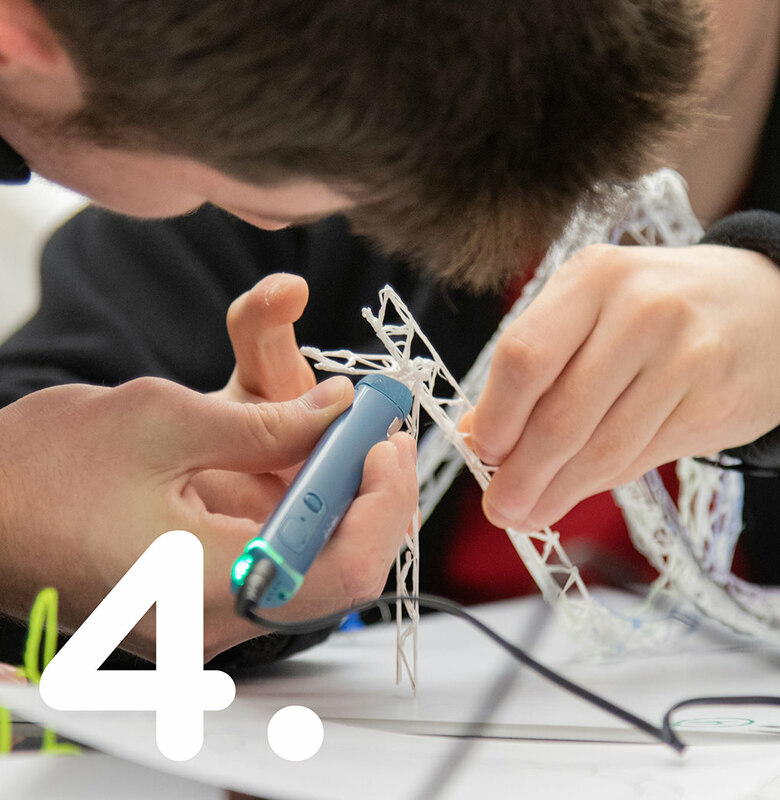 Using a 3Doodler pen opens up instruction to new ways of thinking and meeting goals. It is the fresh and creative air that can sometimes re-energize learning. When students believe that they cannot do something, it is a difficult task to convince them otherwise. 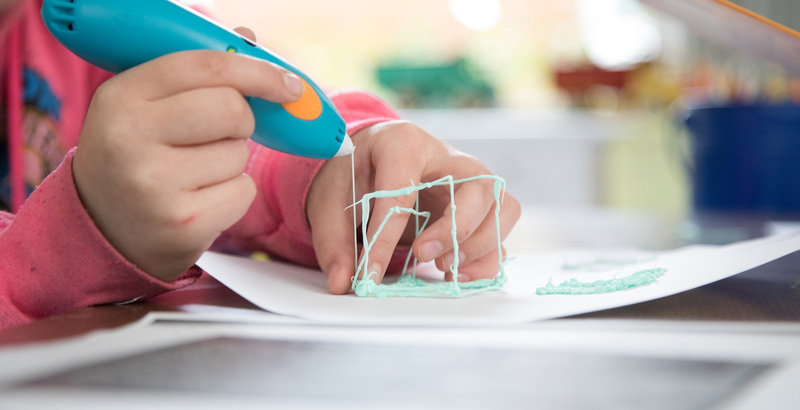 The 3Doodler pen moves beyond words, illustrating an open array of ways that they may succeed in a task. They begin to believe in their abilities, and those of others, when activities are creative and open-ended to boundless possibilities. Whether the task is to create a one-size-fits-all art project or essay, the unintentional results are conformity. And while, these types of results are much easier to quickly assess, especially on standardized tests, they do not allow students to explore who they are as individuals, nor do they afford them practice in listening and navigating the perspectives of their peers. The art of Doodling is a genuinely open and giving activity that embraces the innovative spirit. It shows us not only who we are personally, but also interpersonally. It’s time to unearth the hidden curriculum inside our classrooms, and to look beyond the standard rubric to those aesthetic attributes that carve the human spirit. We must welcome it for its complex values and for the ways in which it enriches our students. Education should aim to teach more than facts, it should instill heart, as well.